It is four years since I switched to Linux thank to Ubuntu, which was not only easy to install but had excellent compatibility with hardware, at least I thought so. Truth is hardware compatibility is built-in Linux kernel, the installer has to do right job. The installer of Ubuntu was good. Ever since. 9.10 version I have tried almost every six monthly release and often its variants like Xbuntu and Lubuntu, as well. However with Unity, things have changed for the worse. It looked like a close friend ended up married with wrong kind of girl. A *itchy type. And search for new friend took me to various other distros. Finally the search ended on LinuxMint. It is a derivative of Ubuntu but it has Unity completely stripped off. It comes with option of Mate and Cinnamon Desktop. It is stable and trustworthy. Creates no fuss and above all, it comes multimedia ready. It saves me trouble to install Medibuntu etc. Presently I am using Mint 13 and 15 and both computers are doing fine with these versions from one year and six months respectively. This is the first time I am not going to be concerned about Ubuntu half-yearly release 13.10 Saucy Salamander. I may try Mint 16 built upon it but not Ubuntu; no point wasting time. Good bye friend. May you have the best hardware in war with Windows. But be careful you are becoming more like windows. 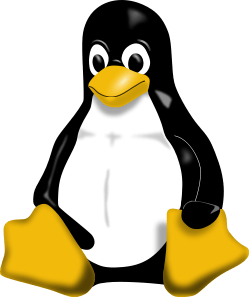 This entry was posted in Linux/Ubuntu, Sci/Tech and tagged 13.10, Linux, Linux-Mint, LinuxMint, Operating system, Ubuntu, Unity. Bookmark the permalink. I tried Ub/Gnome in 2006 (v6.06) but after a few months switched to Kubuntu/KDE. I like the control. Still happy. Sir, thanks for the input. KDE is great. I do enjoy the visual feat offered by it. But for technical rather constraints of frugal hardware I do not use it. But never the less it is the most impressive desktop.